There is an old expression here; What you see depends on where you stand. I have become amazed at how foreigners see Israelis. It seems we are either villains or heroes, depending on which TV station you are watching. We are neither, just regular people doing extraordinary things to survive (and this is what my book is about, see below, "Israel: A Nation of Warriors"). Ordinary people with ordinary lives who must do extraordinary things to survive. Over thousands of years we have developed our skill, our adaptability, our mindset. We have tried to survive in a world that has not been too receptive to the idea of our existence and our independence. Yesterday as I was parking my car I saw some young guy pushing a baby carriage. Not an unusual sight. Here we see many young people with children and the men assume an active role in taking care of the children. In the religious community people marry young and start their families early. It is considered a great honor to bring a Jewish child into the world, to rebuild our nation. So I noticed this guy because he just seemed so young, and so innocent. Something about him made me think, "this guy definitely needs some training, some Krav Maga self defense training". And then, as I passed him I noticed him again, but this time from the back. He was wearing a sweatshirt. The sweatshirt was clearly a gift from his unit. Every unit has a graduation gift, a T shirt for their group, a sweatshirt with the emblem of the unit. I noticed the emblem and recognized it at once; one of our top and most daring units with a reputation for taking care of some of the most notorious terrorists. This sweet innocent looking fellow, pushing the baby carriage with his young child, was a member of a unit the kind of which thriller movies are made of. But you would never know this from looking at him. You would not even have a clue. Often when I am questioned at foreign airports as to the purpose of my visit I run into this dialogue. Security: What was the purpose of your visit to our country? Moshe: I was here to teach a Krav Maga self defense course. Security: Really, you don't look like a Krav Maga instructor. Yes, of course, I suppose I should be wearing military fatigues, perhaps a T shirt with skull and bones on it, a tattoo,(God forbid) and who knows what else. The point is that is all part of the misconception the non Israeli public has about Krav Maga and this perception, sadly, is used by Israelis to market their Krav Maga programs to the outside world. Simply put, feeding people's delusions. I do not do that, my neighbor with his baby carriage does not do that. He is not trying to impress anyone, he is just trying to get his baby home safely. And if you try and mess with him or his baby, well, look out, you will be in for a world of pain because that is what real warriors look like in this country. What is life in Israel really like? What makes the people of Israel unique? How do ordinary citizens cope with terrorism, war,and military obligations? Israeli -Hebrew fighting throughout the age; Abraham, Moses, Joshua, their mindset and their fighting skills. 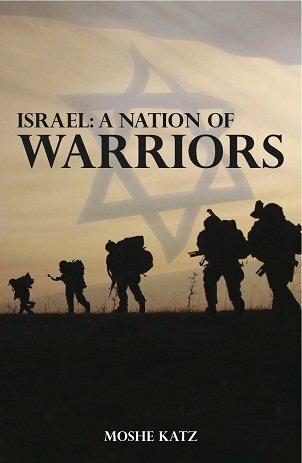 Over 250 pages, the history of Israel and the Jewish people as a fighting nation from the days of Abraham to our own times. The book covers the history and roots of Krav Maga and the modern Israeli Defense Forces. The book analyzes what makes Israeli security the best in the world.